← The value of sustained protest! Hear our messages! Though the 19th Amendment granted suffrage to all women on paper and in theory, women of color and poor women were still disenfranchised and prevented from voting. The Southern poll tax “resulted in the disproportionate disfranchisement of millions of women,” according to “The Illusion of Suffrage: Female Voting Rights and the Women’s Poll Tax Repeal Movement After the Nineteenth Amendment.” People of color were prevented from voting in different ways. Immigrants from many countries were not allowed to become citizens, and therefore not allowed to vote. For example in 1922, the Supreme Court ruled in OZAWA V. UNITED STATES (1922) that people of Japanese descent couldn’t become citizens, thus they could not vote. The next year (1923) a court did the same to Asian Indians. State laws across the country barred Native Americans from voting, and unjust barriers like literacy tests made it nearly impossible for many thousands of African Americans and Latinas to vote. So while the 19th Amendment was necessary and moving us in the right direction, something closer to universal suffrage wasn’t guaranteed for everyone until 1965, when the Voting Rights Act passed Congress. The right for women to vote was very unevenly granted. Here is quick history of Women’s Equality Day itself. On Aug 26, 1970, the 50th anniversary of the 19th amendment, tens of thousands of women (estimates of 50,000) marched down New York City’s Fifth Avenue in an undeniable display of strength! The police wouldn’t close the street for them, so they linked arms, and blocked the major thoroughfare during rush hour. The “Women’s Strike For Equality March” was organized by the National Organization for Women. 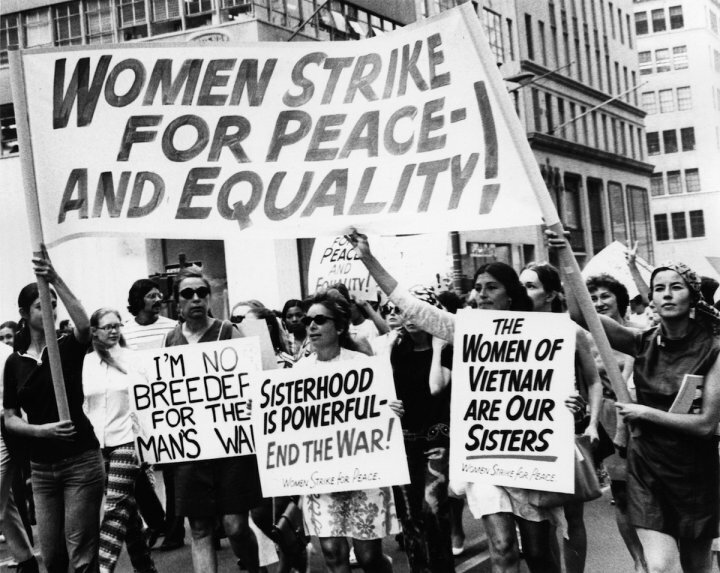 The strike’s goals were to publicize the feminist movement and ideas and to expose the many injustices experienced by women. Exactly one year later, in 1971, Congress officially declared Aug 26 as Women’s Equality Day, a celebration of women’s suffrage. The Women’s Equality Day bill was introduced by a woman, of course. Congresswoman Bella Abzug. Important to note that it wasn’t until 1971 that North Carolina finally made the symbolic gesture of ratifying the 19th Amendment – after blocking ratification time after time. People need to realize – the right to vote is the ONLY specific right women are guaranteed under the Constitution of the United States of America. The Equal Rights Amendment (ERA) didn’t pass in 1982, and it hasn’t become law yet. Although we are working hard on it. But need for ERA has never been more clear so we are again working on it (see ERA-NC Alliance)! The Constitution still does not fully acknowledge that WOMEN were created equal too. Women remain an unprotected class of citizen. And as we’re seeing, it’s dangerous to be excluded from your own Constitution. With every passing day, the extremism of our NC legislature– not to mention the president– demonstrates why. Our hard-earned legislative and judicial victories are being attacked and reversed. Women’s Equality Day is an occasion to recognize the progress that women have made, but it’s also a time to remember how far we still have to go. We’ll hear about some of the issues women still face at the Women Rise Up march on Saturday, Aug 26, 2017, in Durham. Our work is not done until all American women have social, economic and political equality. Amazing book on struggle to get the women’s right to vote. 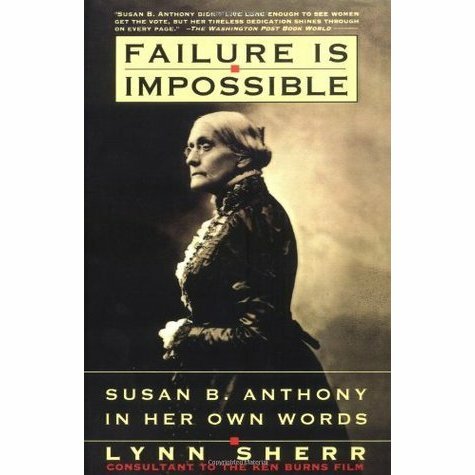 Susan B. Anthony and Elizabeth Cady Stanton dedicated their lives to this struggle! This entry was posted in discrimination, Equal Rights Amendment, ERA, immigration, jobs, racism, voting. Bookmark the permalink.